I almost skipped church today. I'm glad I didn't. To tell the truth, events of the last week had left me feeling a little defeated and discouraged and insecure. The kind of week where you want to curl up under a blankie and hide out till the storm passes. So I got up this morning and planned a solitary 45-minute drive to the big chain grocery store, where prices are cheaper. And then I hemmed and hawed until it was too late to go, and decided I'd go to church and hit up the local store afterward instead. And you know what? I went to church and I was encouraged by my fellow churchgoers. They didn't know what was going on in my head, but they offered simple, kind words of gratitude and encouragement, which was what I needed to get me back on track for the week ahead. It was like getting a hug and a pat on the back from heaven, and I'm grateful for that. 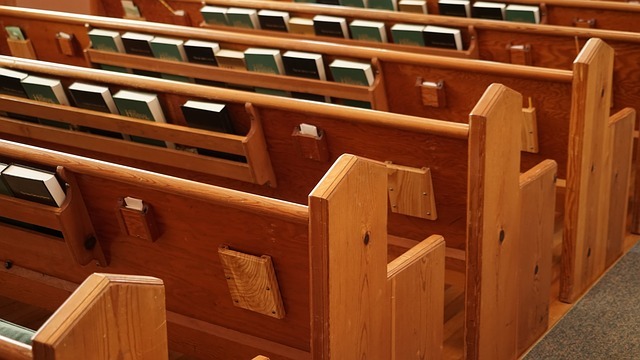 In this ongoing journey from church-obsessed to de-churched and back to church-attendee, it was a welcome reminder that church—as it was intended to be—still exists. Next week maybe I'll be able to be that voice of kindness, love, and encouragement for someone else. Maybe that's how it's supposed to work.